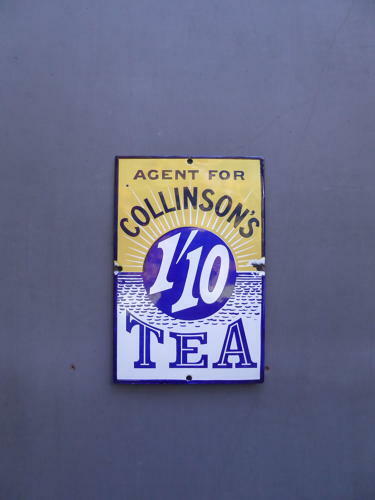 A small early vintage enamel advertising sign for Collinsons Tea. An rare sign in a striking colourway, featuring a wonderful layout & some superb typography. Retaining a very good depth of colour & an exceptional gloss.